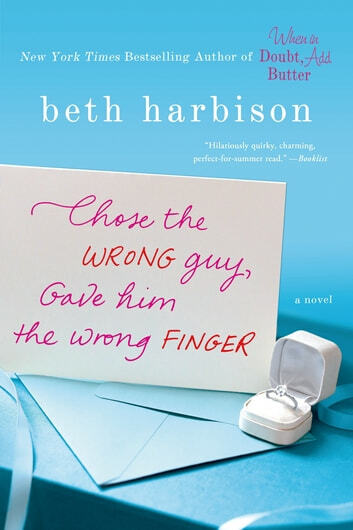 From Beth Harbison, the New York Times bestselling author of When in Doubt, Add Butter and Shoe Addicts Anonymous, comes Chose the Wrong Guy, Gave Him the Wrong Finger, a delightful new novel that will make you look at second chances in a whole new way. Ten years ago, Quinn Barton was on her way to the altar to marry Burke Morrison, her high school sweetheart, when something derailed her. Rather, someone derailed her—the Best Man who at the last minute begged her to reconsider the marriage. He told her that Burke had been cheating on her. For a long time. Quinn, stunned, hurt, and confused, struggled with the obligation of fulfilling her guests' expectations—providing a wedding—and running for her life. She chose running. With the Best Man. Who happened to be Burke's brother, Frank. That relationship didn't work either. How could it, when Quinn had been engaged to, in love with, Frank's brother? Quinn opted for neither, and, instead, spends the next seventeen years working in her family's Middleburg, Virginia, bridal shop, Talk of the Gown, where she subconsciously does penance for the disservice she did to marriage. But when the two men return to town for another wedding, old anger, hurt, and passion resurface. Just because you've traded the good guy for the bad guy for no guy doesn't mean you have to stay away from love for the rest of your life, does it? 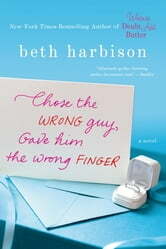 Told with Beth Harbison's flair for humor and heart, Chose the Wrong Guy will keep you guessing and make you believe in the possibilities of love. Not worth reading. Didn't enjoy it at all. This was the most unengaged writing I've ever had the misfortune of reading, it was terrible pretentious dribble.